As well as living virtually on campus at Arkwright House, you’ll be just a few minutes’ walk from Bradford’s stunning Alhambra Theatre. The spectacular Georgian building is well worth a visit to admire the amazing architecture or to see one of its many brilliant productions. Visit the National Media Museum to learn about the world’s first ‘City of Film’ or pop by the quirky Cookies and Creme dessert parlour for an indulgent scoop of ice cream after lectures. 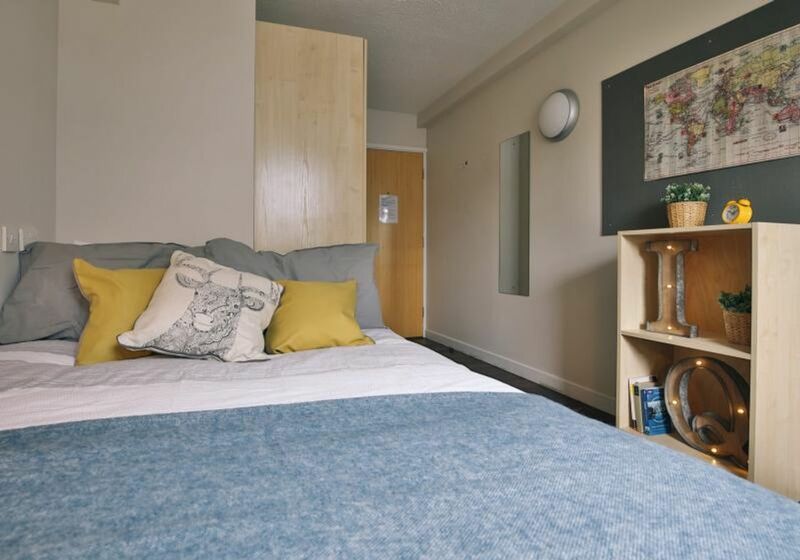 iQ Arkwright House is perfectly placed just a couple of minutes from your lecture halls and you can make use of the excellent transport links in the area to get anywhere else in the city in no time. By night, walk to the City Park in less than 10 minutes to watch the lights of the 100-foot water fountain illuminate the beautiful City Hall. 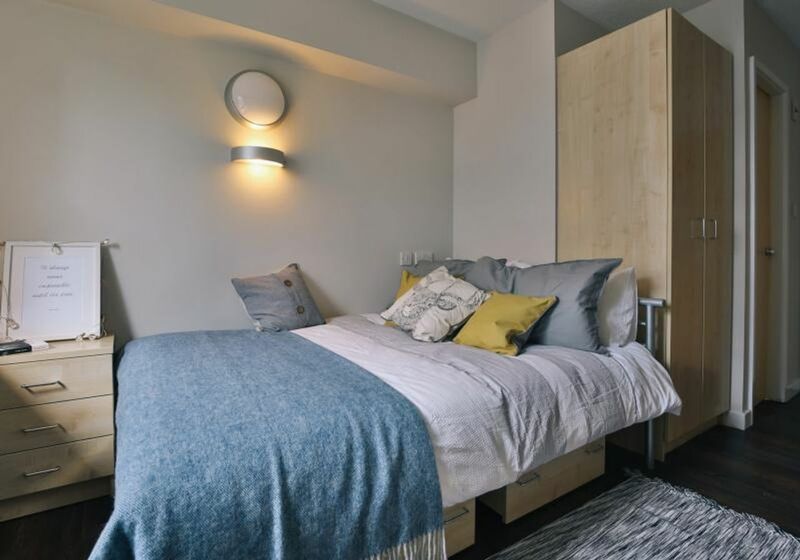 With access to a free, high-spec gym and bustling resident’s lounge, you’ll enjoy a luxury student experience at Arkwright House. After a workout, relax in front of the TV to watch your favourite TV shows or challenge your housemates to a game of pool in the busy common room. Go back to your apartment, where you can escape to your own bedroom for some peace and privacy. Study in silence at your desk and use the free Wi-Fi to make sure you meet all your deadlines and catch up with your family via Skype. Take a refreshing shower in your ensuite bathroom and if you’re sharing an apartment, mingle with your housemates in the kitchen, planning dinner and the night ahead in your modern kitchen and living area. Feel safe at Arkwright House with secure door entry and CCTV. There’s a reception desk and 24-hour, on-site staff to help with queries. 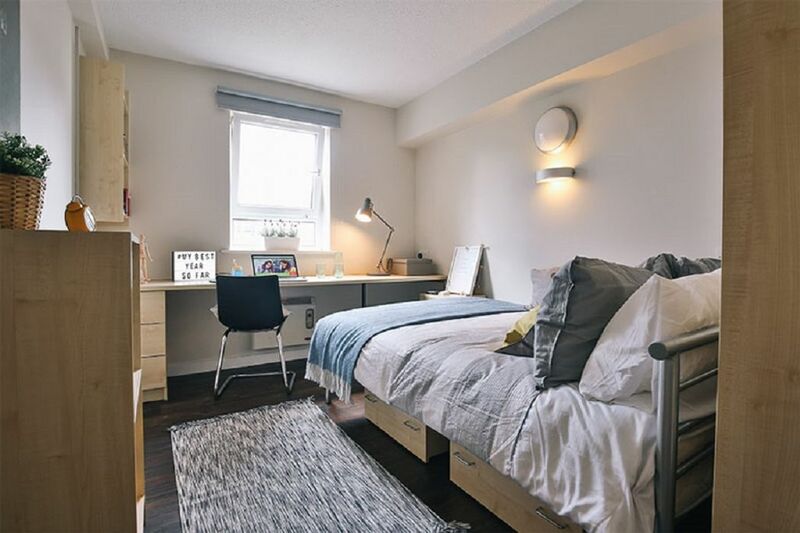 All utility bills and contents insurance are included in the rent so there won’t be any unexpected costs to consider and the laundry and bike storage facilities make life easier. Wir haben leider keine Unterkunft gefunden, die deinen Wünschen entspricht.Alle Privatzimmer in iQ Arkwright House ansehen.